The Veterans Affairs Department may soon have to reinstate many of the employees it fired over the last year, following a ruling from a third-party arbitrator that said the agency has violated a collective bargaining agreement in enforcing one of the key reforms signed into law by President Trump. The ruling, if upheld, would impact employees represented by the American Federation of Government Employees who faced adverse action under the 2017 VA Accountability and Whistleblower Protection Act. Trump, VA and lawmakers in both parties have heralded the law as a significant step in cracking down on malfeasant and poorly performing employees, but its enforcement has been mired in controversy since its passage. AFGE brought the case for mediation after VA issued a series of memoranda that said VA was no longer required to give employees 90 days to improve and performance improvement plans would not be used. The union said that violated specific clauses in its collective bargaining agreement requiring those steps for employees identified for poor performance. VA argued the memos do not affect performance improvement plans, and even if they did, the accountability law supersedes the requirements of the collective bargaining agreement. VA also tried to dismiss the grievance on the grounds that AFGE has filed another grievance demanding the department bargain over implementation of the accountability law, but Ross said the two claims were sufficiently distinct. 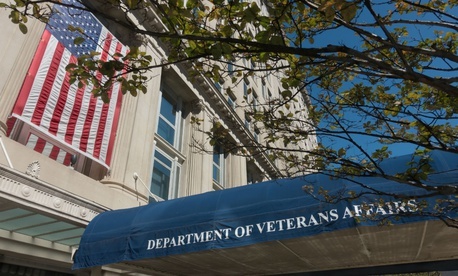 The arbitrator ruled that VA must resume compliance with its CBA, rescind any adverse action against AFGE-represented employees who did not first receive a performance improvement plan and reinstate them at the department, including back pay, restored leave and other benefits. VA must also pay AFGE’s attorney fees. AFGE originally brought the case to mediation on behalf of its employees at the Veterans Benefits Administration, but a spokesman said the union expects the ruling to apply across the department. He did not immediately have available a count of how many employees may now have their jobs reinstated and/or receive back pay, but public data posted by VA shows about 1,400 employees were fired outside of their probationary periods between the time the department issued the memos last August and June 30, 2018. It is unclear how many of those employees were denied opportunities to improve their performance and are represented by AFGE. The union represents more than two-thirds of the departments 383,000 workers. Lawmakers have for months accused VA of flouting congressional intent in implementing the accountability law. Earlier this year, a group of senators wrote a letter voicing concerns specifically about the elimination of performance improvement plans and lack of progressive discipline. The senators said new policies have led to employees being fired for “missing deadlines or moving slowly after an injury,” even on first offenses. Such actions “are not the types of offenses that rise to the level of immediate termination,” an authority provided in the 2017 law. “This is unacceptable and runs counter to congressional intent and your previous comments,” the lawmakers said. They noted then-VA Secretary David Shulkin had previously testified, “Every good manager works with their employees to make them better, to give them feedback,” a practice which the new policies do not allow. VA has also faced criticism for disproportionately firing low-level employees, such as housekeeping staff. A June letter asked VA’s inspector general to investigate the law’s enforcement, and while no Republican signed onto either letter, Republican leaders on the department’s oversight committee’s have voiced concerns. The IG is currently probing the law’s enforcement. The department has stood by its actions. “VA makes absolutely no apology for holding employees accountable when circumstances warrant," Curt Cashour, a department spokesman, said in June. "If former employees feel their removal from federal employment is improper, they have a number of appeal options under federal law." At a House hearing on the law last month, then-acting VA Secretary Peter O’Rourke defended the department’s policies, but acknowledged it still had work to do to ensure consistent enforcement.